Do you want to be a pilot but have some specific questions? We have put together some FAQs to help address any questions you may have. We hope these give you the confidence to get started with your training, or perhaps prompt you to contact us about anything else. FTA can assist you in finding student accommodation near the academy. There is a wide spread of accommodation options including host families, shared accommodation, bed and breakfasts and hotels – the FTA student welfare team can seek the right option for you and put you in touch. Many students on our begin by living with a host family, before moving in to shared accommodation with fellow FTA students once they have settled in. Please contact us if you’d like to find out more about accommodation options whilst studying at FTA. What does 'FROZEN ATPL' MEAN? A ‘Frozen’ Airline Transport Pilot Licence is the name given to the qualification of a pilot who holds a Commercial Pilot Licence (CPL). The ATPL would become un-frozen when the flight experience requirements are met. The experience would be achieved during employment as a first officer. MCC/JOC is a 'Multi Crew Cooperation/Jet Orientation Course course' which is completed after the advanced stages of flight training (phase four). Our training partners, Jet MASTERCLASS deliver the training on our behalf at their base outside Gatwick Airport. As specialists in assisting UK airlines with pilot recruitment, they offer an unrivalled MCC/JOC course that focuses on developing the highest standards of pilot competencies and behaviours. The standard MCC/JOC can also be upgraded to an APS (airline pilot standards) course on request. 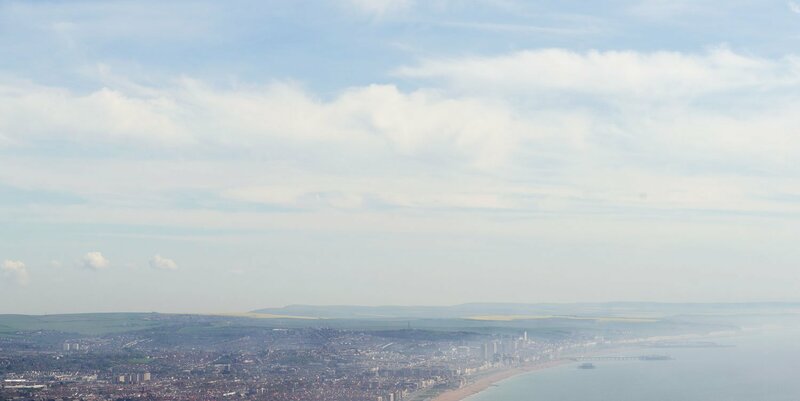 We strongly recommend you visit our campus at Brighton City Airport. In fact, we suggest you contact a number of flight schools before you make your final decision. Pilot training is a big commitment and it is essential to ensure you find the school that will offer the best calibre of instruction, aircraft availability and overall experience. Create a list of your top, most preferred flight schools and be sure to book a visit of each one. We offer weekly tours of the FTA campus every Thursday at 10 am. Please contact us to get booked in. As part of the Integrated Flight Deck Programme candidate entry requirements, students are required to have at least 5 GCSEs (or equivalent). This must include Maths and English. Read up on our full entry requirements. To join any of our integrated or modular courses students must be 18 years of age. There is no maximum age limit. Medical examinations are conducted at London Gatwick. You can read more about what this involves, here: 'Your pilot medical and what to expect'. If enrolling onto the integrated course with a PPL, you can claim up to 50% of your total hours up to a maximum of 40 hours (if no night rating held) or 45 hours (if a night rating is held). The actual number of hours credited is at the discretion of the head of training. For every hour granted, an amount of £220 would be credited to your training account*. If you already have your PPL and some hours and want to know exactly how much your course will cost, contact our admission team who will be able to advise as per your personal situation. Please note: all course fees are subject to review and for the most up to date prices, you should contact the admissions team. Our integrated course costs £77,950 and allows you to go from little or no flying experience to a “Frozen ATPL” in approximately 14-18 months. This programme is full-time and the entirety of the training completed at our base at Brighton City Airport, UK. At FTA we recognise that not everyone can complete their training full-time. Our modular courses enable students to complete training around their lifestyle or other commitments. We have nine modular courses which range from £1,500 to £17,795. This is a popular route for students to gain their Frozen ATPL alongside work or studies. We also offer a special rate on the MEP, ME IR and ME CPL. This special, three course package costs just £26,195 and is available for those that can complete the training back to back, in the specified order. For more information about our MEP, ME IR and ME CPL package, click here. Modular pilot courses can also be taken as and when desired, (as long as course pre-requisites are met). From zero experience to holding a frozen ATPL, modular training would take around 2 years to complete. This of course depends on your pace and commitments in addition to your study. You can find out more about the modular route to Frozen ATPL on the our here. What aircraft do you fly at FTA? Do I have to pay my fees all in one go? You pay the balance of your Integrated Flight Deck training over 12 months (after an initial payment of £14,000). For more information about the payment of fees – visit the course fee section of our website. To enrol on our ATPL Theory (full time ground school) you need to pay the full fee (upon submission of your admission pack). The cost of ground school is £4,195 (price excludes CAA exam fees). FTA's courses do not include accommodation costs. However our Marketing and Student Services are on hand to offer all the accommodation support you need. We have a three-bedroom property available for students to rent in Teruel, and maintain an up-to-date list of landlords, agents and host families in the UK and Spain. We are able to help you find the right accommodation for you, whether it be a homestay, with a host family, B&B, shared or private accommodation. Please contact us if you would like more information. We do not tend to have links with specific airlines, instead focusing on supporting our cadets to be best placed for a career within the industry. This is why former students fly for over 30 different airlines across the globe, ranging to private airline charter companies to global commercial airlines. You can read up on where some of FTA’s past cadets are now working in our Pilot Stories. What does FTA's Integrated Flight Deck Programme include? Upon successful completion of FTA's Integrated Flight Deck Programme you will have all the necessary skills and experience to apply for a role as a First Officer. Click here for full details. If you have any further questions, please just get in touch!